Helianthus, commonly known as Sunflower, is a genus of lovely and prolific flowering plants. These lovely bloomers are easily grown in almost any soil and make excellent flowering plants in gardens and landscapes. 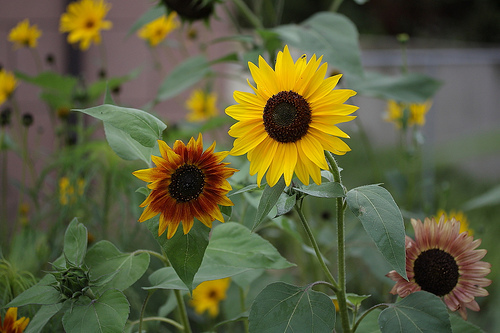 Most species of Helianthus are annuals and perennials growing from 2 to 4 meters. Helianthus is typically characterized by stout, hairy and seldom branching stem. Each stem has a terminal flower head bearing showy and fairly large-sized flowers. 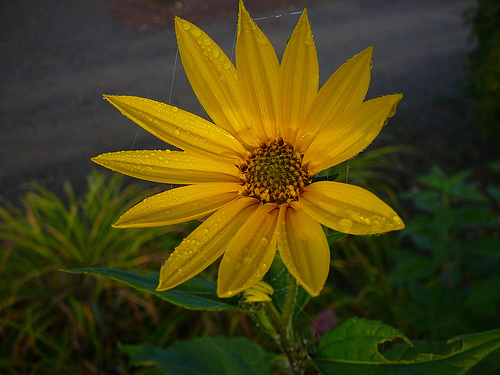 Because of their columnar growth, bright flowers, and easy maintenance, many species of Helianthus have become popular flowering plants in many parts of the world. These species vary in height, and size and color of the flower. Helianthus annuus or common Sunflower: This is a branching annual growing up to 3 meters. The plant is characterized by coarse leaves and large yellow flowers. The Spanish name ‘annuus’ is because of the movement of flower head along with the sun. It actually follow the sun each day, facing eastward in the morning, westward at sunset. Helianthus tuberosus is another popular plant from this genus. Unlike its cousins, this lovely bloomer produces smaller flowers on delicate stems. The tubers are edible and are usually known as Jerusalem artichoke. Helianthus decapetalus ‘Multiflorus’ is popular because of its tufted flowers. This perennial blooms in summer and bears golden-yellow flowers. Other popular species include: H. salicifolius, H. divaricatus and Helianthus debilis. 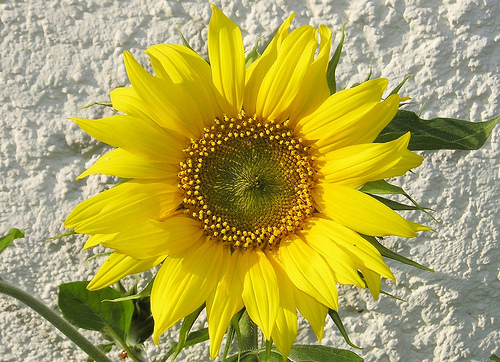 Most species of Helianthus easily grown in average, moist and well-drained soil under full sun. Propagation is done from seeds or divisions. Regular feeding and watering encourage prolific flowering.